Home»All»Top 9 Picnic Spots – Things to do, in Houston, with kids! 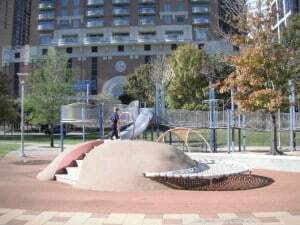 Top 9 Picnic Spots – Things to do, in Houston, with kids! 1. Discovery Green – Jump on METRORail and head downtown. Get off at the Main Street Square Station and walk the 5 blocks east(ish). Swing by Phoenicia and grab some snacks and walk across the street to Discovery Green. Coordinate with one of the free events on the calendar or just go and enjoy the urban green space. 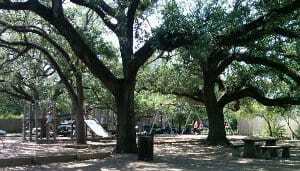 Enjoy your picnic on the new raised deck next to the Brown Promenade under the century-old live oak trees. 2. Market Square Park – Instead of walking east from the METRORail tracks, walk west(ish) towards City Hall. Stop by Market Square Park and grab lunch from Niko Nikos. The small restaurant is located in the park and has outdoor tables were you can enjoy lunch under the skyscrapers. Extend your trip by heading to the JP Morgan Chase Tower to enjoy the city from 60 stories up and then find the Big Bubble in the Bayou before heading back to METRORail. 3. 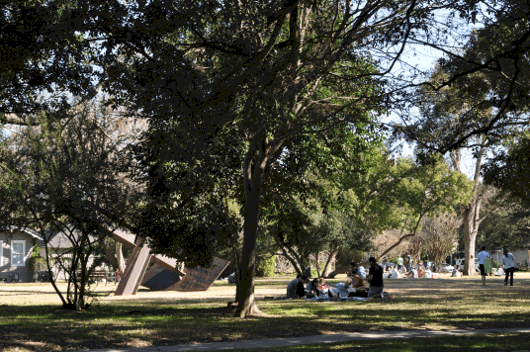 Hermann Park – Hermann Park is an urban oasis in the middle of the city. There is free parking and is also easy to access from the METRORail Hermann Park Station. Grab lunch from Pinewood Cafe in the park, McDonalds in the Houston Museum of Natural Science or bring your own. Find a picnic table, bench or spot on the grass. 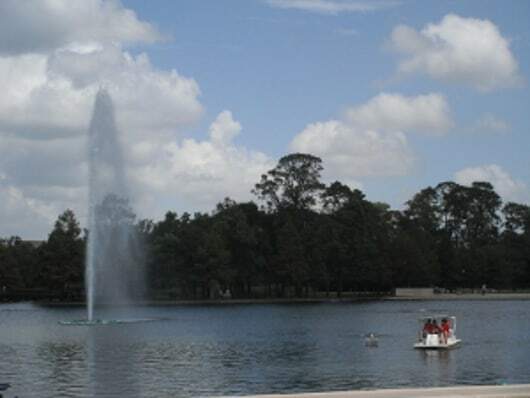 Bring some crust for the ducks and enjoy an afternoon at Hermann Park. Consider also playing on the playgrounds, riding the train, riding the pedal boats or wondering around the Japanese Garden. 4. Houston Zoo – Located inside Hermann Park, the Houston Zoo allows food and coolers into the Zoo. Either pack a lunch, grab it from Pinewood Cafe or buy it inside the zoo. Find a spot along the trails and enjoy your wild picnic. 5. 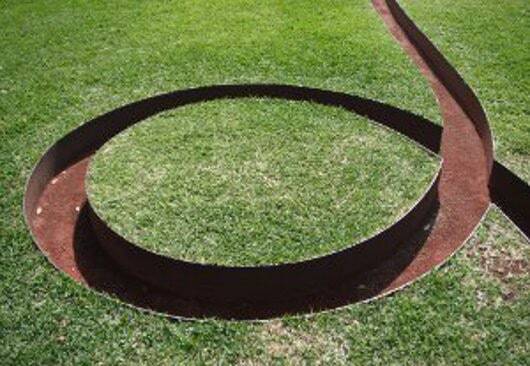 Menil Park – Right next to the Menil Collection, there is a small shady park with one lone red swing. Bring your lunch from the nearby HEB or La Fendee and then stop by the Menil Gift Store and see if you can find an old glass bottle of Coke. Enjoy your quiet picnic and then climb trees, swing or lay in the grass. 6. Mandell Park – At the corner of Richmond and Mandell, this Mandell Park is the symbol of what a neighborhood can do with some determination and hard work. Grab some lunch at El Pueblito next door and head to the park to wonder around the organic gardens. Consider that this lot used to be a waste land, was transformed into gardens and a beautiful retreat. 7. Fleming Park – Grab lunch at Picnic and take it to Fleming Park. This shady neighborhood park host birthday parties and playdates every single day. Eat your lunch before playing on the old style wooden playground equipment. Extend your day by heading over to the museum district just blocks away. Looking for a Houston City Park closer to your house? Find a list of all the parks HERE. 8. Gerald D. Hines Waterwall Park – Located next to the Galleria Mall is a 64 foot tall Water Wall. Pack your lunch and eat it in the mist or on a nearby park bench. Let the kids run around the open grass. If you want to extend the trip, hit the mall for some ice skating or to visit the play area. 9. 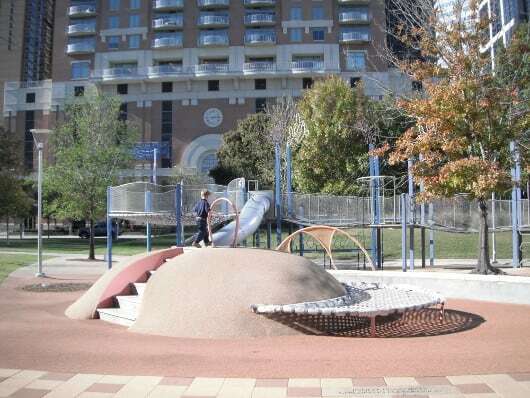 Buffalo Bayou Park Fish Family Play Area – Next to Buffalo Bayou, with a fabulous view of the downtown skyline, eat at the Water Works building or the pavilion at the Fish Family Play Area. This nature play area is amazing… and there are plenty of shaded tables for your picnic! Where in Houston? West Alabama Ice House! You would have stumped me with picture of #5-7. Not for long though, now we have some new destinations to try out.